A comment added to the “Many Christians Do Not Vote Republican” post below mentioned how some Bible-thumpers seem to welcome the idea of catastrophe, apocalypse, or Armageddon, and even feel they should help bring it about. Unfortunately I have indeed heard people talk like that, or promote that line of thinking. It is repulsive. Was He unwilling to face and rejoice in the just punishment? Could He not deal with the appropriate consequences of public stupidity and evil behavior? Where was His courage? Where was His moral outrage? Where was His joy in the righteous judgment that was coming? I think Jesus was (and is) God Incarnate (Whatever that means, it’s a big deal.). I think we need to be taking some lessons from Him about our emotional responses, our desires, and our practical behavior. If He felt great sadness and wept, then we need to figure out how to start seeing things, and responding emotionally to things, in the same ways He did. The tragedies and disasters going on in our world are not just charades or something in the movies. It’s more than appropriate to have some deep sorrow about them, especially the ones “we” are inflicting or helping to cause. This is real life. Jesus is still weeping. We can be here and accept the tears with Him, or we can reject His take on things as shallow and unrealistic and proceed in our belligerence and arrogance. I think the former would be the wiser course. there seems to be arguments amongst the posters here! 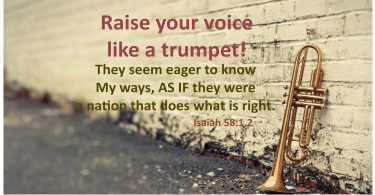 No weeping/seeing things Jesus’ Way! Peace Be With You, as long as you don’t anger me? What Gives here? 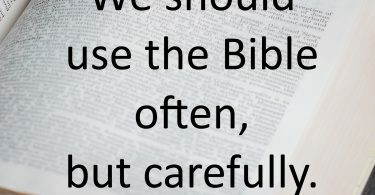 Although the views of conservative Christians mentioned in your article may not be indicative of EVERY conservative Christian, there are enough of them out there with these views, (some of them quite well known and vocal) that it has had serious consequences on the effective witness the rest of us are trying to live. I am a Christian and have attended a Southern Baptist church since I was saved at the age of 12. In the 34 years since, the message and tone from the pulpit, church leaders, and even the convention itself has changed. Many church members did not notice because the change was very slow and very subtle. I have spoken to a number of Christians from a variety of churches in person and on the web, and they describe their situation as being like waking up after a deep sleep, and wondering who these people are in the pew next to them. The social issues at the forefront of the ongoing political and religious debate are abortion and homosexuality. The dividing point in the Christian community is twofold. Number one is how do we deal with these problems; are we militant, intolerant, judgemental, prideful, etc., or are we confident in our own relationship with Christ that we live by His example? Number two is why are some Christians ready to embrace these two issues with open arms, but refuse to acknowledge other social issues that Christ was much more clear about in the Gospel? We end up looking pretty hypocritical to the world at large, as we debate among ourselves a right course of action.